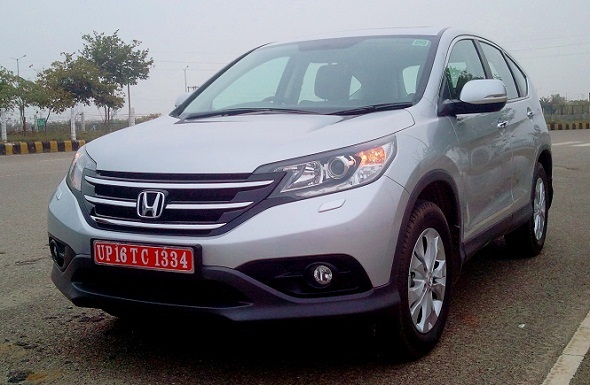 Toyota Fortuner vs Honda CR-V: Which is the better urban SUV? The new Honda CR-V with a reduced price tag has had many potential buyers weigh their options, especially against the Toyota Fortuner. Does it makes sense to buy a Honda CR-V or a Toyota Fortuner? We weigh the pros and cons of both vehicles to help you make an informed decision. The Toyota Fortuner is priced between Rs. 21.37 lakh and Rs. 22.60 lakh across three variants, a 4×2 manual transmission, 4×2 automatic transmission variant and a 4×4 manual transmission variant. The Honda CR-V is available in four variants priced between Rs. 19.95 lakh for the base 2-litre 4×2 manual transmission variant going up to Rs. 23.85 lakh for the top-end 4×4 automatic variant. If you are a buyer looking for a typical urban SUV that will clock around 50 km a day and are not looking at performance, but want great comfort, the base Honda CR-V 4×2 manual transmission variant is one to go for. The Honda CR-V has better seating comfort than the Toyota Fortuner. It also has better all-round visibility for the driver (especially out the front, where the Fortuner has the bonnet hindering vision for shorter drivers). The CR-V has a little more equipment to offer compared to the Toyota Fortuner, if you are the kind who goes for features over everything else. The top-end CR-V comes with an electric sun-roof, AVN system with GPS, six airbags, cruise control, hill-start assist, dual zone climate control etc, all features that the Fortuner does not offer. However, things like reverse camera, parking sensors, stability program, Bluetooth, ABS, dual airbags and steering audio controls are common to both. The mid-variant Honda CR-V and Toyota Fortuner 4×4 manual are similarly priced, making the CR-V slightly better value only on price, while the top-end CR-V is a bit too expensive. Where the CR-V excels is in on-road dynamics. The suspension and ride quality in the CR-V is better than the Toyota Fortuner at high speeds. The top-end CR-V also develops more power than the Fortuner (peak power in bhp) at 190 PS (187 bhp), but being a petrol it manages just 226 Nm of torque. On the highway, the CR-V has an advantage. The addition of cruise control also helps. The Toyota Fortuner is the more capable SUV when it comes to off-road and rough-road ability. The top-end 4×4 Fortuner comes with a low-ratio 4×4 transfercase, which helps it tackle tricky, slushy terrain. It also has better ground clearance than the CR-V making it the better SUV for off-road conditions. The 169 bhp and 343 Nm of torque from the Fortuner’s 3-litre diesel engine are particularly useful parameters off-road, rather than for highway drives. The fact that the Toyota Fortuner sips the cheaper fuel at the moment, diesel, makes it work out more economical for drivers who cover large distances. If you look at similarly priced variants of the CR-V and the Fortuner, it would be more prudent for those looking at saving on running costs to pick the Fortuner. Overall, the two SUVs will appeal to two different types of buyers. The CR-V buyer is one who would have probably bought an equivalent sedan like a Honda Accord, but needs a sophisticated, refined SUV to get from point to point, and one that can handle rough roads as well. 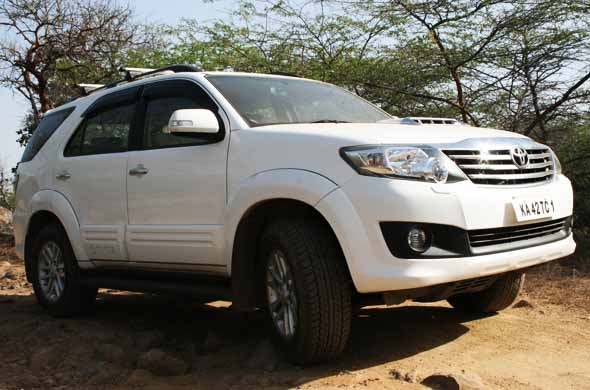 The Fortuner buyer is one who is looking for more versatility of space and passenger capacity as well as one who would want to put it through tougher driving conditions – a bit of compromise on ride quality, but better ruggedness. In short, low mileage urban buyers would be better off with a CR-V, while those looking at high usage and rough roads would be better off with a Fortuner.